Only a postcard, and not a letter, as I’m a bit pressed for time. But who writes letters anymore? The stamp mark in dated Kashgar, 25th June. Not bad for the mail to arrive only a few days later, right? 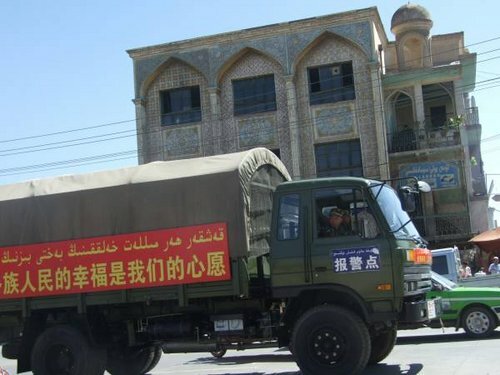 That truck is part of China’s crackdown in advance of the one year anniversary of Xinjiang’s July 5th riots. The nerviness this kind of police presence creates reminds me strongly of Tongren, the Tibetan town with it’s own history of unrest, where I’ve just come from. But don’t think too much of it: for most of the population, life goes on just as it did before and will after. It’s a beautiful corner of the world, where the sun sets at 10pm (I should be two or three timezones before Beijing) and the old town feels more like my imagination of Persia than my experience of China. Maybe that’s why the truck is there. Wish you were here. Now think of the act of blogging as me leaving the address space blank, and instead glueing the postcard to the back of every computer connected to the internet in the world, should the user have the curiosity to look for it. I want to go to Guilin, I want to go to Guilin, but when I have the time I haveÂ no money. I want to go to Guilin, I want to go to Guilin, but when I have the money I have no time. Ben hasn’t been to Guilin. At first, during university in Shanxi, the problem was line one. Now, running his own online business in Beijing, it’s line two which is the rub: “I think the money might be enough, but now I have no time”. Two years after opening his clothes store on the Chinese eBay, Taobao, Ben still works from sunrise to sunset. Guilin, for him,Â is still just a song and a photo search on Baidu (a Google knock-off). His business is growing: “actually … it’s not doing too badly”, he puts it with an abashed modesty which can only meanÂ his shopÂ doing very well. 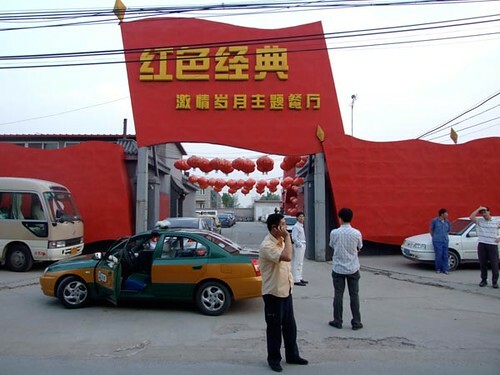 He has hired two assistants (in addition to his sister who also works for him), and just placed a big order withÂ a new factory in Guangzhou, where he gets his clothes cheap. 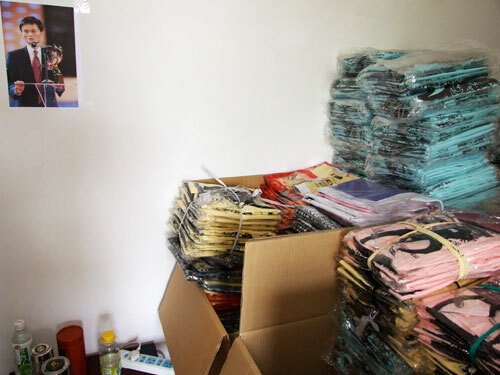 Not bad, considering that – according to Ben’s estimate – 70% of Taobao shops flop. Fingers crossed that Ben will find that long sought-after combination of time and money, and make it to Guilin. And as for me – I haven’t been there either, but will be travelling in Qinghai and Xinjiang over the next fortnight. On which note, I really must run to catch my train. Update from Xining 6.14: caught it, in the closest shave of more nearly-missed trains in China than I can remember. This has been blogged about before, so I’m cheating. But I just can’t resist posting a few pics (in addition to the one I have up on China Beat) and a quick video from Beijing’s Cultural Revolution restaurant, where I had dinner with most of the friends I follow on this blog last Friday night. Yes, June 4th – to complete the political awkwardness of the night. Out past the fifth ring road, the restaurant is a couple of hours from the student district by subway and (lost) taxi – that’s longer than it takes to get from London to Wales. A red guard opens our beers and serves our food. 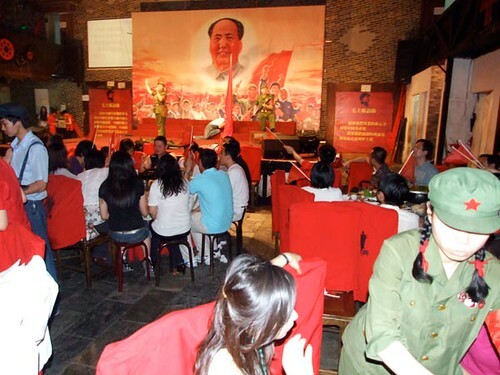 As we tuck in, I breath a sigh of relief that this isn’t a Great Leap Forward themed gig. While the show goes on in the background, I commit the biggest faux pas of my life: giving an ironic toast ‘Long live Mao’ (æ¯›ä¸»å¸­ä¸‡å²), forgetting that I’d invited two friends from Taiwan along. By the end of the night, we were all wondering when the Cultural Revolution would give way to Deng Xiaoping’s Reform era. Which it did … when the cheque arrived. C: When you’re abroad, be careful. D: haha, if you’re just posting on facebook it’s not too bad, at least facebook is blocked in the mainland, in general you can be as mischievous as you like, it’s no problem. A: Stop this kind of conversation now, OK! Here we are, June 4th,Â again. The first thing to say, to Chinese readers, is that we will not forget those who died on the night of June 3rd, 1989 … and nor do we apologise for keep bringing it up. 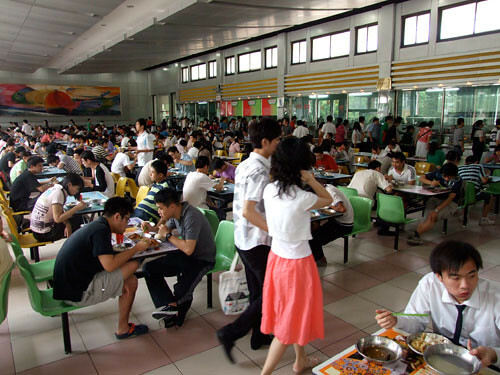 On Danwei I’ve written a piece comparing the class of ’89 with the class of 2010 in Peking University, if you’re curious â€“ but that’s not the meat of this post. This is an essay I wrote for my Chinese language school in Beijing,Â IUP, as my end-of-term exam. My teacher and I had been looking at Chen Duxiu‘s essays in the early [20th] century magazine New Youth. Here I look at one essay in particular, in which Chen appeals to China’s youth to stand up, and tie it briefly to both the May 4th movement and 1989 demonstrations. I thought I’d publish it here – feel free to pick holes in my Chinese! Mr Chen, you’re too kind. I’ll do my best to treasure this valuable time – to use the opportunity when my blade is at its sharpest, when my sun is at its brightest, to analyse and shed light on what you write. First off, I was wrong: in 1915 the magazine was still called Youth. It changed its name to New Youth in 1916, due to another magazine having the same name. If only changing the nature of youth was as easy as changing a magazine name. For what Chen Duxiu was striving for was precisely a new generation of young people – a generation willing to struggle and break down the old modes of thought. In the essay I mention above, ‘Advice [literally warning] for youth,’ Chen’s metaphor for the youth who oppose Confucian teachings, concepts of ritual, chastity, even the very ‘essence of China’, is “fresh, vigourous cells inside the human body”, and he compares old people who support the old theories and politics to rotten cells. In this so-called ‘metabolism’ of society, he continues, these “rotten, corrupted cells at all times, by the process of natural selection, give space to stand and time to live in to the fresh, vigourous cells”. However this “natural” process, it seems, still needs a little human help: Chen appeals to the youth to “vigourously drive out those rotten, corrupted cells”. If “their blade is sharp enough to cut iron and hemp, [and they] don’t follow other’s lead or hesitate in thought”, then “maybe society will arrive at a peaceful day”. Did society arrive at this peaceful day after all? On May 4th, 1919, students (led by Beida students) gathered on Tiananmen square. The reason: the Chinese government’s weak reaction to the Versailles treaty. The result: the government of the time lost all credibility. 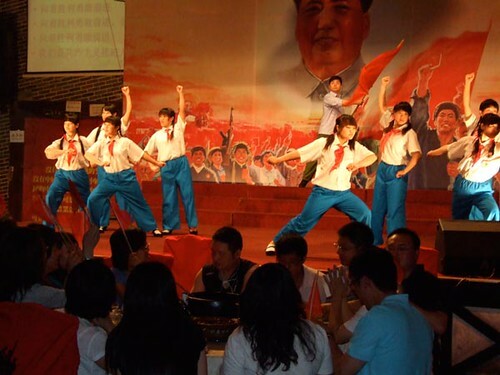 That day was the ‘high tide’ of the May Fourth movement, a day with a deep impact on China – China’s youth had stood up. Thirty years of chaos and civil war later, the day Chen Duxiu strove for had (maybe) arrived: 1st October, 1949. But Chen couldn’t enjoy that day: for one, he died in 1942, but he had also split paths in 1929 with the Communist Party he formerly supported so strongly (we can see his discontent in this essay). On May 4th, 1989, students (once more led by Beida students) again gathered on Tiananmen square. This time, the reason was to commemorate Hu Yaobang, but it swiftly turned into a large-scale political movement. The result: according to conservative estimates, more than two hundred students were killed on the night of June 3rd. These young people, just like those of seventy years ago, were opposing the ‘elements’ that were “blocking the airway of society”, but the difference is rather paradoxical: this time, they were opposing the very Communist Party who before had opposed old modes of thought. * It’s rather weird, and bloody awkward, to translate something you’ve written yourself into your mother tongue. I’ve taken liberties, but hope the original author won’t mind. My campus this year at Tsinghua University is huge, but not huge enough to leave elbow room amongst all its students. 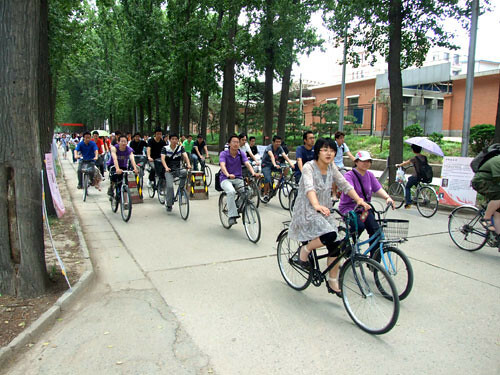 This may not surprise you, given that a) it’s a university, and b) it’s in China. (A county with 500 million people aged 5-29). Undeterred by stating the obvious, your humble blogger thought he’d upload a couple of pictures from lunchtime, to give a poor impression of the student size, and perhaps a little feel for the campus. First, a central canteen (lunch: about 50p/$1). Next, the North-South road leading up to that canteen. This picture really doesn’t do justice to the tsunami of cyclists who barrel down this lane at the rush-hours of campus life. If it had, I quite literally wouldn’t have been able to squeeze in to take a picture.